What are ten things you still want to learn? 1. The first is entirely due to Netflix. Is it weird that I never cared about art history before watching White Collar—but now want to know all of it? I’m pretty much determined now to eventually take some sort of class on this. 2. Science. There is a lot that I’m missing. Because I went to Moody. 3. Kick-boxing. Is anyone in Chicago interested in taking a class? I’d need to find something really inexpensive, unfortunately. 5. To use InDesign better, to know more about what Photoshop can do, and to know how to use Illustrator at all. 6. How to dredge up the energy every evening to keep up a clean apartment. Or cleanish, you know, whatever. 7. How to sew my own clothes: I’m starting to work on this one! As in, I have pretty much everything I need for a dress pattern, except printing out the pattern. And practicing on the machine I haven’t used in years, first. 8. Pretty much all of the skills involved in being a spy, a con, a space pirate, Arrow, and/or a Time Lord. I’d also accept merely being outfitted with the Intersect in my brain like Chuck (but with better control), and/or allomancy. 10. To be moderately successful at being a functioning adult. This is not, by any means, all of the things I want to learn. But you have to start somewhere, right? Also, a longer list would become depressing, especially if I have to include stuff like “holding my breathe underwater properly” and other embarrasing things. This is more-or-less part of my slow-updating Newly-Minted Adult series. Technically it’s just another way for me to talk about books, but it still counts. It does! I am not an auditory learner. Not even in the slightest. I used to feel lacking, or lazy, or disrespectful when I had so much trouble paying attention to lectures, sermons, lessons—you name it, I struggled with focusing in it. It helped when I began understanding it about myself. I realized that it probably explains my being a better student in high school than in college (in addition to the general lack of time for studying after running around Chicago every evening). I no longer feel guilty that I don’t get a ton from sermons, or feel bad at how many chapels I slept through in college, and I can allow myself to feel fine about needing to not yet even consider going back to school. Not being an auditory learner also means that I’ve never really cared to be read to (although if I ever did as a small child, I just don’t remember.) And that means I’ve never considered audiobooks as desireable, or even an option. Which is exactly why I finally decided to give them a shot. Maybe it won’t actually work this way, but I realized that probably the only sensible way to improve my auditory learning would be to, well, use it. And since listening to lecture recordings or even a lot of podcasts sounds like a surefire way to make me not bother, audio books are clearly the superior option. 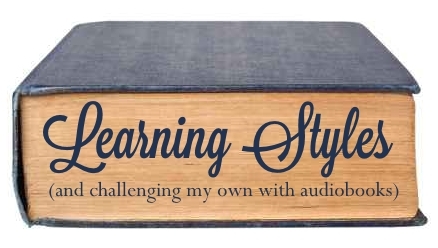 And I’m not sure which came first: the idea of audiobooks as a way to train my sucky auditory learning skills, or the need to read books in all of the ways books can be read. & I also felt left out when reading blog posts about audiobooks. Let me in the club! So I am just trying it all out now. Sometime in the last year I started trying to do library audio books, but I didn’t like the feel of the Overdrive app, or having a limited check out period (something that doesn’t bother me as much with Kindle books). Sometime before Christmas, Isaac pointed me to a fantastic trial-period deal on Audible (because if a deal exists, he will find it). I’m often hesitant to go for trials because I am awful at cancelling things. I had a credit score checking subscription for about 9 months longer than I wanted it because their process for canceling was horrible… not that I’m much better when the process isn’t horrible. Anyways. The trial offer was for three months at their gold level: 1 credit each month. And since it wouldn’t be the end of the world if I missed canceling in time and hit a fourth month at 1 credit for $14, I signed up and downloaded Amy Poehler’s Yes, Please. Which is a fabulous book so far. Which I have only listened to 5% of in three months. Clearly I needed to start somewhere more basic (for me) than non-fiction. Enter my obsessive marathoning of Veronica Mars and the subsequent movie. After finishing I discovered the results of one very obsessive fandom: There’s a book too?!?!! It was a good move: I’m much more interested in opening my audible app when it’s fiction. I’m more likely to be thinking ahead to times I can take advantage of my headphones when it’s a story I’m really interested in (and has great narration!). I’ve even opened it to listen before going to sleep a few times. It’s still slow, it’s still not instinct in the slightest to want to listen to a story, but that’s hardly a surprise. The surprise is that it’s tentatively working, no matter how slowly. The other day I bought Neil Gaiman’s Trigger Warnings because I though he might narrate it himself (he does, and it’s great) and that short stories would be a curious thing to try listening to. I like short stories, but I tend to forget I’m reading a collection of them—so if listening to them turns out to be a bust, it’s not a great loss. I’m starting to “get” the appeal. I can listen on the bus if I don’t feel like reading (or need both my hands for stability) or walking around. It’s not like I’m not willing to read my kindle while walking, but this is probably safer. And while I don’t drive often and can’t multifocus well enough to listen while doing chores, I totally get how perfectly suited Audible would be for both. So I’m not quite sold yet, but when I finish 8 hours of Kristen Bell narrating her very own Veronica Mars, I might be. This is part of my slow-updating Newly-Minted Adult series. I’d write more about this kind of thing if it wasn’t just so much easier to write about books. I don’t get lost very often. I imagine this fact will be surprising to my parents for the rest of our lives, but it’s true. When I was a kid (…and a tween, and a teenager), it was their general belief that I had the worlds’ worst sense of direction. And this wasn’t false, exactly, because it was true that I didn’t know how to get… anywhere. But it wasn’t an inate lack of a sense of north and south and the relative locations of point A and point B. No, it had a lot more to do with the fact that I never went in a car without my face stuck in a book (with an extra book [or two] just in case I finished the first). “Jenna, look at the trees!” “Jenna, look at the scenery!” “The skyline!” “That deer/horse/alligator!” “JENNA PUT YOUR BOOK DOWN.” Nope. Sorry. I’m happy in here. But then I started driving places. And then I went to college and had to walk everywhere (oh the horror). What my parents didn’t understand is that it’s really hard for this relatively ADD child to want to pay attention to the landmarks and streets and terribly boring intersections when she simply did not have to. And that it’s really hard to know how to get somewhere when you’ve never technically seen the route. Once I became responsible for making the turns and not missing the right streets, things picked up. I discovered to wonder of all wonders that I’m not actually terrible at direction. I discovered, hell, I know how to get places! This was cooler than it should have been. So then you put me in a city like Chicago, where the whole thing is this big wonderful grid, and I’m in really good shape. Add a smart phone? 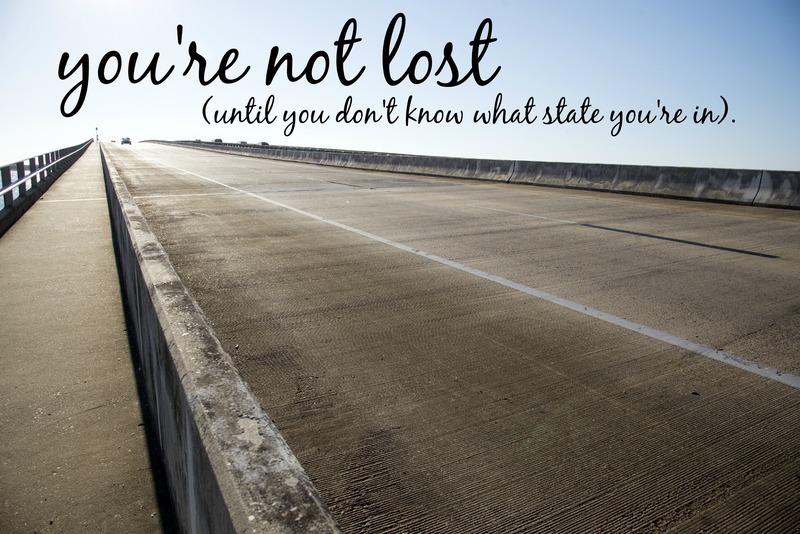 And my Dad’s advice becomes obsolete: “You aren’t lost until you don’t know what state you’re in.” …and have no Internet connection. If I’m in the city, and I have my phone, I’m set. If I’m in the city, and don’t have my phone, I’m (probably) still set. I’m a local here, and that’s bizarre to me. I’m an adult, and this is where I live. It might not be where I live five years from now, but if I move, it will have been my own decision. I have moments when I’m not sure how I got here. When being independant and, gasp, an adult, feels like a dream. Or, sometimes, a nightmare.But most of the time, I love it. I love living in a studio. I could go for having a roommate again in the future, but right now, I enjoy living alone. I like being (ehem, mostly) financially independant. And, I guess, I like being an adult, even if knowing my way around my own city where I live on my own is one of the few adulting things I’ve got down pat. Now if I could stop missing my bus stop because I forgot to look up from my novel? That would be great. This is the first post in my Newly-Minted Adult series, and you could easily misinterpret this as a rather silly topic. But details are important, and this is one of mine, no matter how meandering they happen to be this time. I began buying myself flowers sometime around the start of my senior year of college. I don’t remember exactly when I figured it out, but I realized that it was a bit ridiculous to associate fresh flowers solely with a beau to present them. So I would buy myself fresh flowers for my dorm room. I loved it; and the girls I was close to on the floor knew it. When a girl wanted to give me some kind as a thank you for frequently borrowing my Greek text, someone or other rightly told me that a $4 dollar bouquet of flowers would be just as happily accepted as $4 of chocolate. And then I graduated and moved into my own place, and, for a while, kept on with it. Even when I frequently left the bouquets still cellophane wrapped and stuck hastily in a vase for a day, they still made me happy—especially when I eventually arranged them. But after I moved into my studio in Lincoln Park, I noticed I hadn’t been buying myself flowers anymore. Maybe I realized my penchant for leaving them unarranged was really silly, and why bother? Or there was a level of discontent with my small, crowded space that made flowers less likely to make a difference. Or I finally accepted that I don’t make very much money. But I think I’ve also come away from the reasons I started doing it in the first place. School was stressful: a degree of stressful that, while post-grad life achieves it on occasion, was unique to school in that is was so damned consistent. With plenty of things I needed to be doing at any given moment for my job, my education, or maintaining relationships, flowers were just for me. Some people turn to chocolate, and, while I’ll rarely turn down chocolate, flowers were my thing. I also found myself needing a way to compensate for being 22 and still in a dorm. I wanted a home, so I hung framed things in my single room and arranged carnations in vases. I suppose I could have had plants, but that chances I would have watered them? Slim. And then, in my first apartment with Rachael, I was struggling to even feel remotely like an adult. At the very least, I could decorate with flowers. So, now? Do I feel like an adult? But I DO have my own place with no roommate. I occasionally clean it too. And all the decorations are mine, and I pay bills. So maybe I’m sort of an adult. But I’m not sure any of those are actually good reasons to quit buying flowers. Ever since I realized I had stopped, I realized I missed them a little bit, and have been starting to buy them again—even just cheap carnations from Walmart. 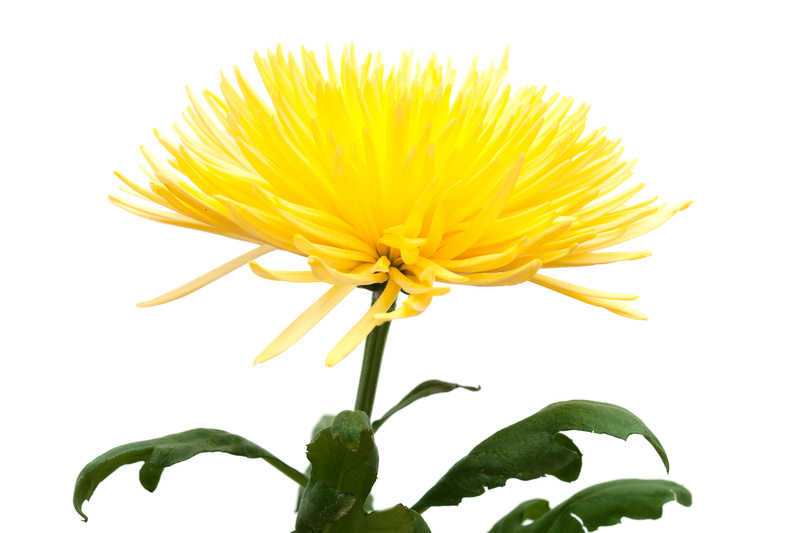 So right now, I’ve got some pom-pommy unnamed yellow pretty things on my desk. And I like it.